Sometimes the holiday decorating money was scarce. 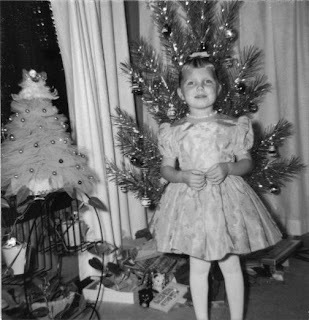 Here I am in 1960 in front of my Grandma's tree crocheting. Lots of tinsel on the tree and tv trays in the corner. For sure the 1960's. Also the 1960's with my parent's aluminum Christmas tree and small netting tree on the round wrought iron plant stand. It may have been a pink netting tree! Early 1980's, early marriage, second hand and hand me down decorations on my Grandma's old artificial tree. The "cutsey" country years. My cute daughter and my mostly craft sale and homemade ornaments. Didn't we all do it? 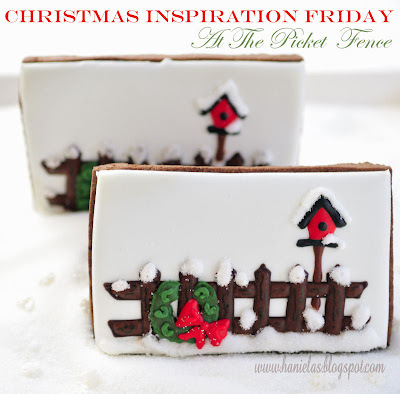 The gingerbread men, the birdhouses? 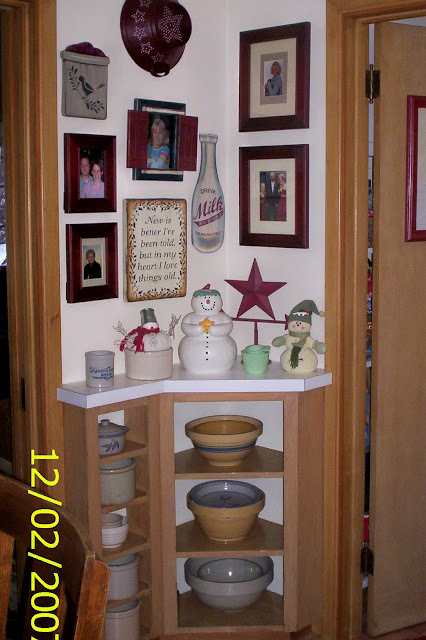 Hey Mom, I ran out of Christmas decorating money and wrapped the pictures on the walls! What Steve, you bought a trunk full of Bing and Grondahl Christmas plates at an auction? It's fun to look back! How beautiful, I so enjoyed your pictures from C'mas past, you were such a cute little girl, loving C'mas time! 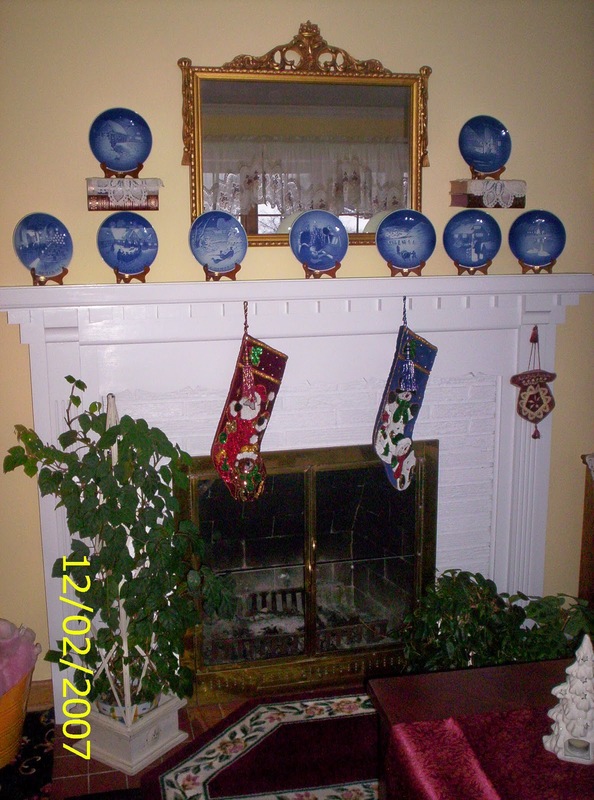 I love your mantel's blue plate collection, lovely. 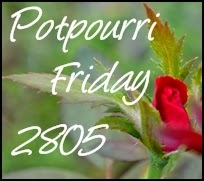 I am following you now and I just dropped from Potpourry Friday. Thank you for sharing. May you have a very Merry Christmas. Thanks for your post and your nice comments! Your home is so pretty and festive!